Find all of the accessories necessary for your construction. 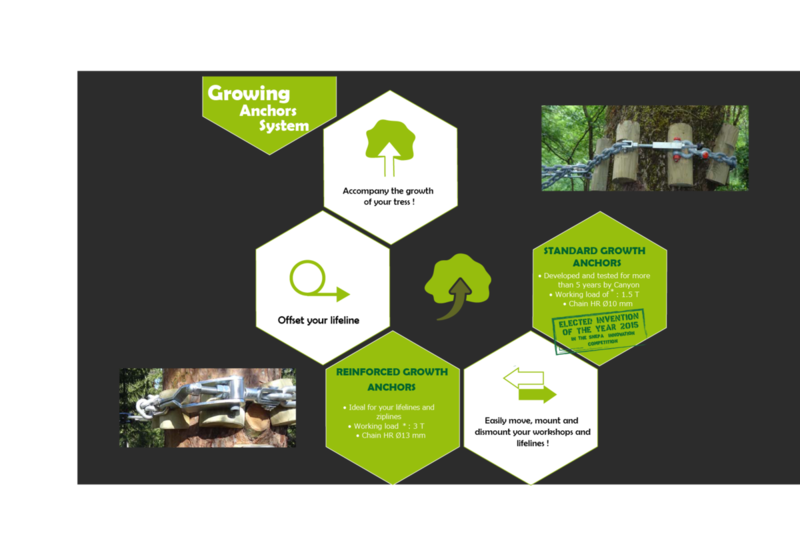 We have developed two specific tree anchorage to minimise our environmental impact. These devices is constituted of chain with a stretching system that allows for tree growth. They also allows you to more easily maintain your course. Lifeline and challenges are connected with quick link, so they are easily to move, mount and dismount ! Two products are available, depending on the desired function (diffrente size and load).